The bridge erector is a kind of crane that is specially used for the construction of highways and railways to lift the produced beam to the designated position. According to different construction environments, it can be divided into high-speed railway cranes and other bridges. In order to ensure the safe operation of bridge erection to ensure construction quality, the bridge erector needs to be installed in accordance with the standard installation scheme. The maximum width of the beam is combined to adjust the center distance of the main beam of the bridge erecting machine. First of all, the center distance of the main beam will be adjusted to the maximum width to improve the stability of the bridge machine. To adjust the lengths of the components such as the front frame carrier frame, if there is a gradient in the bridge, the lengths of the front and rear risers need to be adjusted to ensure the stability of the bridge frame machine. Second, in the middle of the bridge, the middle beam supports the installation of components such as the wheel box and the track. The curve bridge needs to be adjusted according to the tilt angle of the middle traverse track. In addition, the middle trajectory needs to be adjusted to eliminate the influence of the cross slope. Third, when installing the bridge crane to rent the main beam, the bracket should be arranged to facilitate the installation. Fourth, when installing the main girder, it is necessary to install the number to install it. Each time the main girder is installed, the main girder is propelled by the rear drive device for the installation of the next main girder. Fifth, install the front traverse rail on the platform. After the traverse of the track before leveling, the front frame of the main beam can be installed. Installation of front leg hydraulic lifting support device. Seventh, installation cranes and transport beams. Eighth added lubricants for debugging and well prepared. The bridge crane carries out the no-load operation, detects whether there is an obstacle in the control system of the bridge erection machine, whether the hoisting wire rope is worn, and the number of rope clamps is not enough. 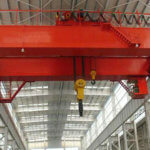 After the erection machine is installed, it is necessary to perform a trial crane to perform the work. 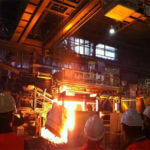 In the process of the trial crane, the performance of the bridge crane is measured, the technical status of the equipment is analyzed scientifically, and whether the comprehensive assessment and erection bridge crane has the requirements for safe operation, and the existing problems need to propose improvement measures. When testing, lift the box-type cement beam larger than the maximum lifting capacity by 10% to determine its safety performance.After the erection machine is installed, it is necessary to perform a trial crane to perform the work. 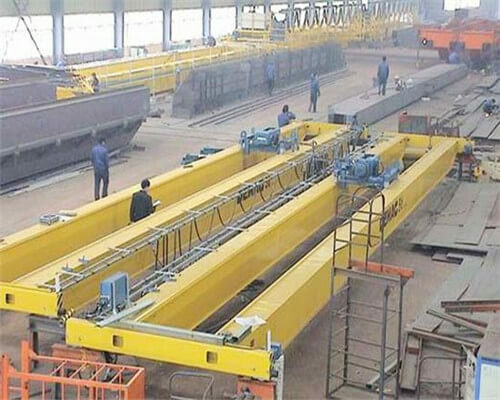 In the process of the trial crane, the performance of the bridge crane is measured, the technical status of the equipment is analyzed scientifically, and whether the comprehensive assessment and erection bridge crane has the requirements for safe operation, and the existing problems need to propose improvement measures. When testing, lift the box-type cement beam larger than the maximum lifting capacity by 10% to determine its safety performance.